Windsurfing Club And Water Sports Activities Kos | Spin Out! Super flat water for speed lovers! It’s from “Point break”, that cult surfing film from the 90’s. 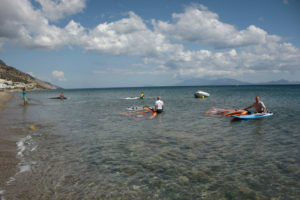 “Spin Out” Windsurf & SUP Center is located in Kardamena, only 5 minutes away from the airport of Kos. The beach is the flattest and longest on the island, offering more than 3 km of perfect sand and turquoise water. This Center was created by avid windsurfers for passionate sea lovers. 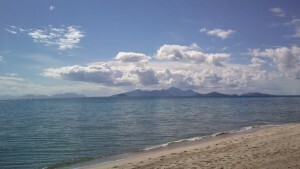 It offers windsurfing courses for all ages and levels, rents equipment and organizes competitions. There are special windsurf packages for kids. Kardamena is a great place for windsurfing and Stand Up Paddle. When the meltemi period starts, you can sail almost every day. It is an ideal playground with super safe conditions for beginners and freestyle / slalom / speed addicts. 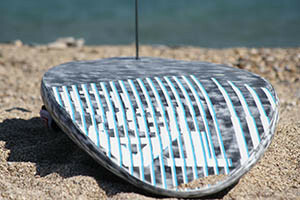 “Spin Out” Windsurf & SUP Center offers brand new equipment for all kind of levels.